Security Services of Georgia began in 1998 as a family business servicing the Alabama, Florida and Mississippi regional area. We expanded into Georgia in 2007 and continue to grow and support homeowners and businesses in the metro-Atlanta area and around Georgia from our office in Marietta. Since our inception, our monitoring price has remained the same affordable monthly fee and we pride ourselves on our superior quality and customer service at an affordable price. Our goal is to always exceed customer expectations. 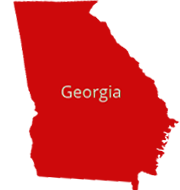 Security Services of Georgia is a certified, licensed, and bonded company affiliated with the Homebuilder’s Association and the National Burglar & Fire Alarm Association (NBFAA). Security industry professional Paul Dunning founded Security Services in 1998 with the idea that top-quality security could be provided at a reasonable price. Over the years, Paul has sold this idea and delivered superior service to his diverse portfolio of residential and commercial clients. Paul is based in Mobile, Alabama and services the tri-state area of Alabama, Florida and Mississippi. In 2007 Atlanta resident and former homebuilder John Dunning joined his brother at Security Services. John offered the full array of Security Services products as a value-added service to his new-home construction clients. Today, John owns and operates the Georgia branch of Security Services and covers the metro-Atlanta area and all of Georgia from our Marietta office.